Camping is an affordable, family-oriented and eco-friendly way to experience the Drakensberg Mountains. And the Drakensberg is literally peppered with the most beautiful, well appointed campsites imaginable. From the Ezemvelo favourites such as Injisuthi and Royal Natal to the private family-owned resorts such as Mountain Splendour, there is a variety of choice. Giant’s Castle is known as the flower of the Drakensberg and is renowned for its rich floral diversity, rolling grasslands, San rock art and stunning mountain scenery. Camping at Ezemvelo’s Midmar Resort offers water sports and fishing on top of the peace and tranquillity afforded by the water. There are just so many camp sites in the Drakensberg and Natal Midlands although its often not so easy to find information about Drakensberg camping. We have tried to list all campsites in the Drakensberg and Natal Midlands and if you find one not listed here please let us know so that we can get this list of Drakensberg camp sites updated. Bergville Caravan Park Bergville Number of sites: 40. Caravan & tent sites; hot & cold water/electric lights/power points; laundry; pets allowed. Tendele Bergville Number of sites: 25. Caravan & tent sites; tariffs on application. Northern Drakensberg Camp Sites Northern Drakensberg. … KZN Wildlife offers Self Catering accommodation at Tendele Hutted Camp and Mahai Camping Grounds. Drakensberg Camping – Sengani horse trails The Drakensberg mountains offers a big selection of camping facilities. From the Northern Drakensberg to the Southern Drakensberg you will find camping facilities everywhere. Giants Castle Camp – Drakensberg Tourist Map Giants Castle Camp is the premier accommodation destination offered by KZN Wildlife in the Drakensberg Mountains. Giants Castle Camp is equipped for self catering. Camping Accommodaion Venues by southern-drakensberg.co.za Glengarry Park (Camping accommodation in Kamberg Valley) … Sani Top Chalet is a small rustic establishment on the edge of the Drakensberg escarpment. Monks Cowl – Central Drakensberg – Drakensberg accommodation The ideal place for Camping/HikinglDay walks or just a light meal. 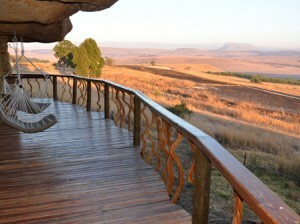 deep into valleys and forests of the Central Drakensberg and up onto the main escarpment. Central Drakensberg – South Africa – Antbear Guesthouse The Central Drakensberg is perhaps the most spectacular region of the … and breakfast accommodation venues, as well as camping sites and caravan parks. Glengarry, Kamberg, Central Drakensberg – camping & caravaning Fly-fishing, hiking, birding, golf, bowls, river swimming & tubing, mountain bike cycling or relaxing in our beautiful English Gardens are all offered at Glengarry.